Many people look for an easy way to browse many sites at once without the need to tap on each site to view it, like a split screen for their browsers in which they can scroll through multiple sites at once on iPhone or iPad. This is where Split Web Browser comes in to help. With Split Web Browser you will be able not to view multiple sites but three,four and more. 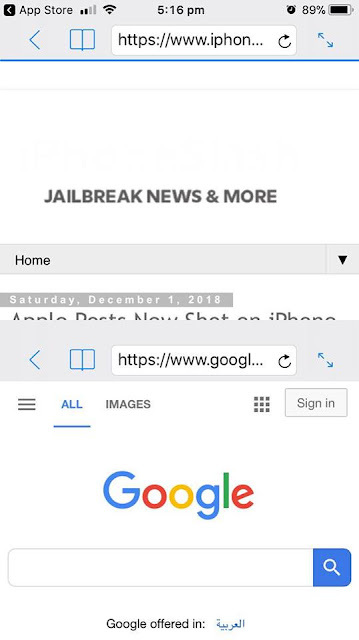 So, here’s how to browse multiple sites at once on your iPhone or iPad with Split Web Browser. First make sure to download Split Web Browser from the iOS App Store. Once it is downloaded open it you will automatically find the app already split into two screens for you. So, you can start browsing more than one site at a time right away. But, you can adjust the settings to browse three, four, and even more sites at once. You can edit the app settings by going to Settings ---> Scroll down and tap on Split then tap on Rows and select from one, two, three. Then tap on Columns and select from one,two or three. Open one of the websites into full screen mode and then tap to go back to the split screen. Let us know if you liked this app or not when you used it in our comment section below.